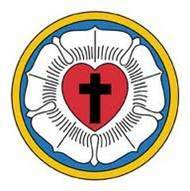 I was looking for different activities for Reformation and came up with a few interesting ideas about Luther's Seal. It's something Luther came up with himself and each part has specific meaning (see the explanation below). The coolest thing I found was this great video recreating it with Legos. Check it out! "Grace and peace from the Lord. As you desire to know whether my painted seal, which you sent to me, has hit the mark, I shall answer most amiably and tell you my original thoughts and reason about why my seal is a symbol of my theology. The first should be a black cross in a heart, which retains its natural color, so that I myself would be reminded that faith in the Crucified saves us. For one who believes from the heart will be justified" (Rom. 10:10). Although it is indeed a black cross, which mortifies and which should also cause pain, it leaves the heart in its natural color. It does not corrupt nature, that is, it does not kill but keeps alive. "The just shall live by faith" (Rom. 1:17) but by faith in the crucified. Such a heart should stand in the middle of a white rose, to show that faith gives joy, comfort, and peace. In other words, it places the believer into a white, joyous rose, for this faith does not give peace and joy like the world gives (John 14:27). That is why the rose should be white and not red, for white is the color of the spirits and the angels (cf. Matthew 28:3; John 20:12). Such a rose should stand in a sky-blue field, symbolizing that such joy in spirit and faith is a beginning of the heavenly future joy, which begins already, but is grasped in hope, not yet revealed. And around this field is a golden ring, symbolizing that such blessedness in Heaven lasts forever and has no end. Such blessedness is exquisite, beyond all joy and goods, just as gold is the most valuable, most precious and best metal. This is my compendium theoligae. I have wanted to show it to you in good friendship, hoping for your appreciation. May Christ, our beloved Lord, be with your spirit until the life hereafter. Amen." LEADERSHIP: Need to organize by address?